We can’t speak with authority about every outdoor speaker ever made. The competition statements below are generalizations that we have found apply to the vast majority of all-climate speakers on the market. TERRA: Every speaker we make is designed, and engineered in the USA and manufactured right here in Maine (even our woofer/midrange drivers). THE COMPETITION: Almost all are sourced from the (generally) lowest price vendors, whether wholly owned or OEM in the Far East. TERRA: Over 70% of every Terra speakers’ component parts are USA sourced. TERRA: Every speaker Terra sells is weatherproof to IP67 standards. The “6” rating means “No ingress of dust; complete protection against contact (dust tight)”, The “7” rating means “Ingress of water in harmful quantity shall not be possible when the enclosure is immersed in water under defined conditions of pressure and time (up to 1 m of submersion).” In order to meet the standard, CA series models must be sealed with a bead of silicone caulk around the rear of the bezel when installed in a wall or ceiling. THE COMPETITION: Very few have been submitted for formal testing or carry any type of standardized rating. Even those marked weatherproof are rarely really weatherproof. TERRA: Every speaker Terra sells also meets or exceeds MIL-STD-810G standards. These standards help to ensure our products’ ability to withstand extreme environments. TERRA: Every Terra cast frame woofer/midrange uses our one-piece Ceramic-Aluminum-Ceramic sandwich cone (ACAD™) that’s exceptionally light yet very stiff, while being impervious to the elements. THE COMPETITION: Most use plastic or treated paper cones. Our 15-year experience exclusively building outdoor speakers proves that our single-piece concave ACAD cone is ideal for all-climate applications, both in terms of longevity under adverse conditions and for pure audio performance. TERRA: Every hand-built Terra woofer/midrange driver utilizes our MFCS™ spider-free Ferrofluid™ voice-coil centering suspension. The harder you drive a MFCS speaker, the better its suspension performs. THE COMPETITION: The majority use traditional “spider” cone centering and suspension systems. Spiders vary in tension as the cone moves back and forth and change performance dramatically over time and with ambient temperature shifts. TERRA: Every Terra crossover network is computer optimized and made from audiophile grade components. All components are sealed against the weather too. THE COMPETITION: The competition? Many only use a simple capacitor to protect the tweeter. Some use a “real” crossover but quality and consistency are typically limited as most are made using the cheapest parts available. TERRA: Every rotationally molded UV stable Terra AC and LS Series speakers’ UniCavity™ enclosure is totally sealed against the elements and colorized through and through. THE COMPETITION: Many use low grade painted plastic enclosures which can deteriorate quickly under outdoor exposure. Most are thin-walled which can add severe resonant coloration to reproduced music. TERRA: Terra is the most custom oriented outdoor speaker company in the business. Options (series dependent) include enclosure colors, grille colors, optional custom enclosure colors (minimum quantities apply), connector choices, 70 volt options, mounting choices, round or square flush mount choices and more. THE COMPETITION: Most only offer a choice of a couple of enclosure colors and the ability to paint them. Terra speakers can be painted too, using the latest paints specifically created for plastics. TERRA: Terra products carry a Limited Lifetime Transferrable Warrantee against defects in workmanship and manufacturing as well as damage from exposure to outdoor weather, short of Acts of God. THE COMPETITION: The competition? Warranties range from 30 days to lifetime. The vast majority cover “defects in workmanship and manufacturing” only. The few that do cover weather damage or offer a lifetime warranty do so because their speakers are so cheap to manufacture that they’re essentially throw away products. TERRA: Terra speakers deliver sound comparable to high end residential speaker systems. Set up a pair of AC or LS models indoors and connect them to a high quality amplifier. You’ll be blown away by their sound capability. THE COMPETITION: Most are nowhere near high fidelity. They often deliver boomy, ill-defined bass, spitty highs and mediocre mids. TERRA: Terra flush mount (CA Series) speakers are ideal for any application where climate is a concern; showers, steam rooms, saunas, ships, pool houses, etc. THE COMPETITION: Very few companies make residential flush mount all-climate speakers. Poor sounding marine or car stereo drivers are most commonly used. TERRA: Terra makes a Patent Pending outdoor lighting and sound system, the LS.32 bollard and its light-free ground mount brother, the LS.10. THE COMPETITION: To the best of our knowledge, there is none. TERRA: Terra’s LS.10 ground mount speaker is ideal for placing within the landscaping for “hidden” outdoor distributed audio installations. THE COMPETITION: There are very few similar scattered distribution outdoor sound systems. None offer the option of lighting, like Terra’s does. Compared to the LS.10, these packages can be pricey, typically don’t sound as good and may not last as long as Terra models. TERRA: Terra’s AC.SUB is a totally sealed UniCavity powerhouse that delivers excellent quality, low distortion deep bass. Its massive 12-inch cast frame ACAD driver is a study in high output, weather proof performance. THE COMPETITION: The competition? Many use unsealed bandpass designs to eliminate the need for a crossover and bi-amplification. They have a pipe sticking up from the ground that will eventually let moisture and creatures inside. Some use a transformer for 70 volt operation. Unless they’re using an expensive and massive transformer, the sub’s performance may be severely compromised by this design choice. If you look beyond the surface at all-climate speakers you will see that Terra’s perfect balance of American made quality, excellent performance, superior weather resistance, limited distribution, achievable profitability and customization, there is not a competitor that comes close. 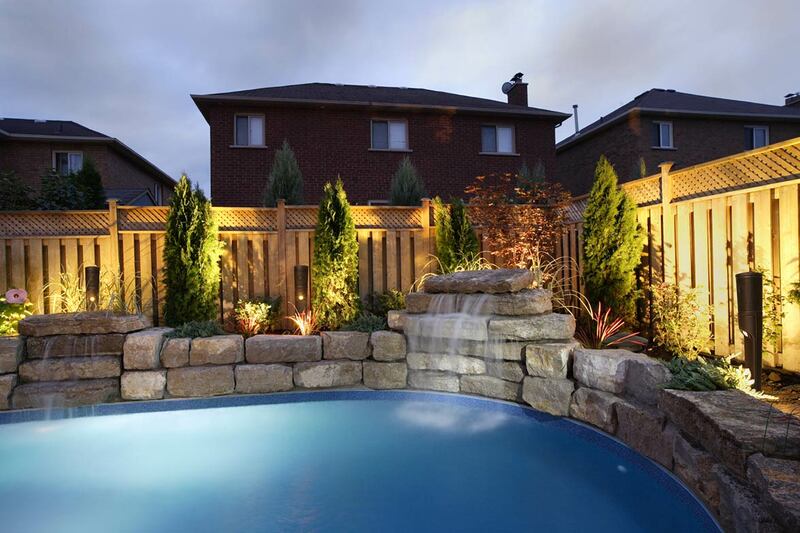 So when your customer wants the best in outdoor sound Terra is the obvious and logical choice. Please consider liking us on Facebook and following us on Twitter.